(Click the 2nd image). 14″ of length to stick into the ground. Stick at least 7″ of spike base into ground. This x-base will fit a size Medium, Large or Extra Large Feather or Teardrop flag only. 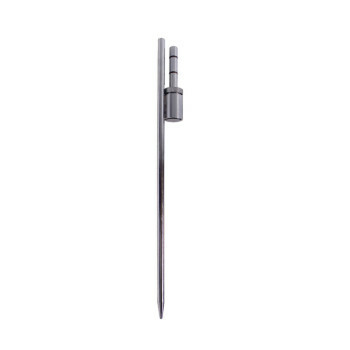 Simply slip the flag pole onto this cross base, and place on any hard surface. Can be used indoors or outside. Watch this flag swivel in light winds as it displays your message.